Firestorm made a cameo appearance in Justice Society of America #50 a few weeks ago. 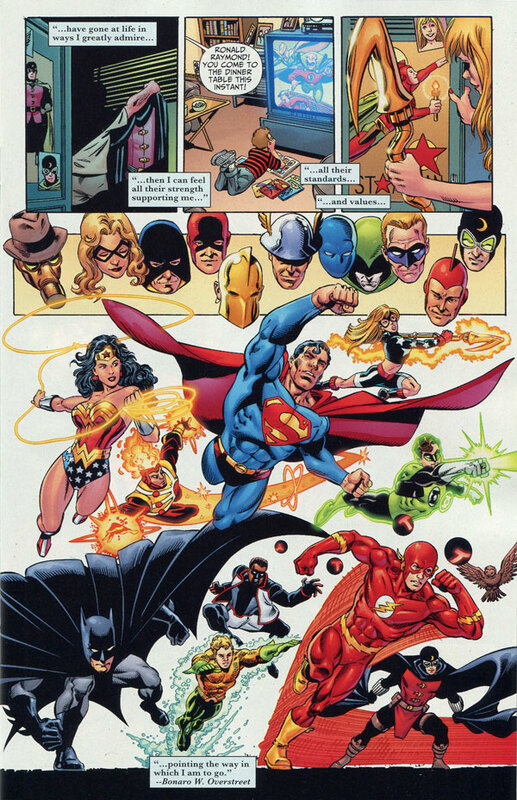 Our favorite Nuclear Man appeared in a flashback page featuring the JLA drawn by the legendary George Perez! 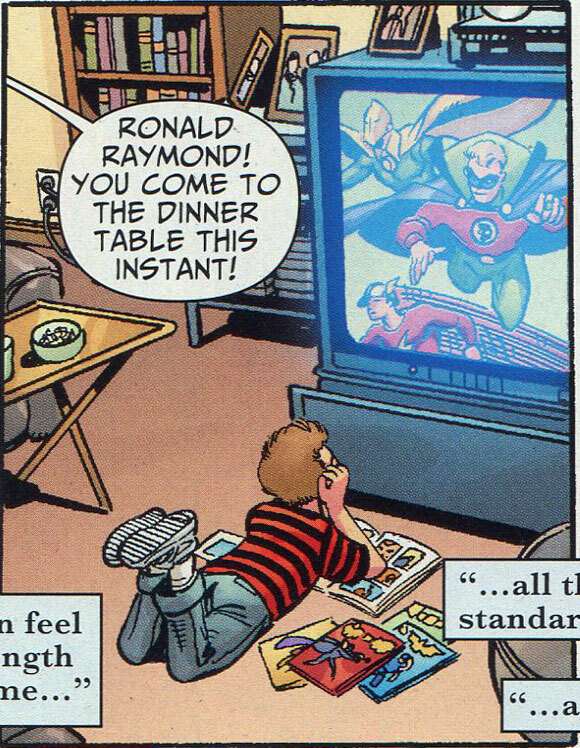 Check out the kid below watching superheroes on TV! 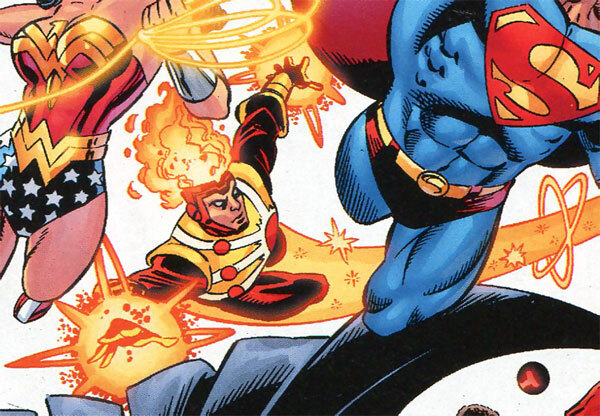 George Perez draws such a gorgeous Firestorm! My thanks to Eric Sellers for the heads-up about this cameo! Posted in: Comic books, George Perez, Justice League of America. Nice spotting, I totally missed that. I love these little cameos. Writers who do this always feel crafty to me.